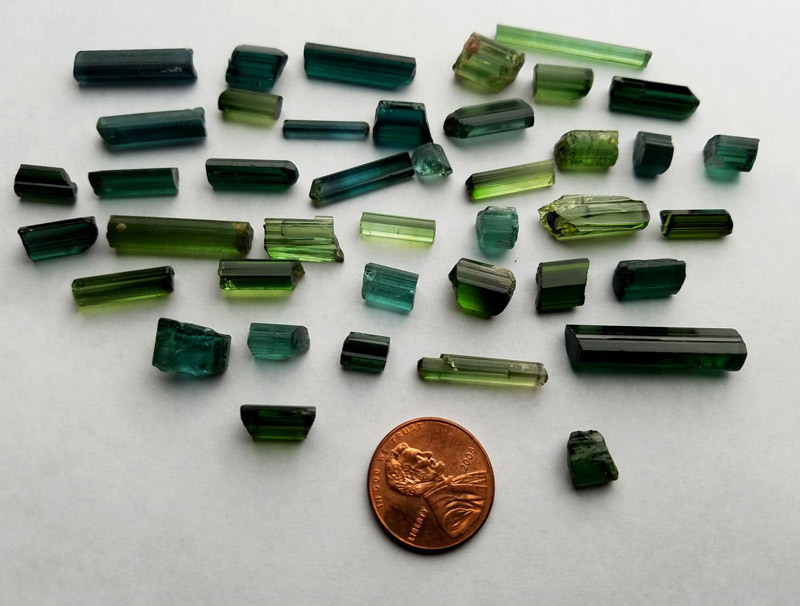 A lovely parcel of gem tourmaline Crystals from Afghanistan. Parcel weighs 31.2 grams, size range of crystals from .2 to 2 grams. Colors range from a deep blue to real blue to medium green. Some eye-clean, some lightly included, some terminated, something for everyone.